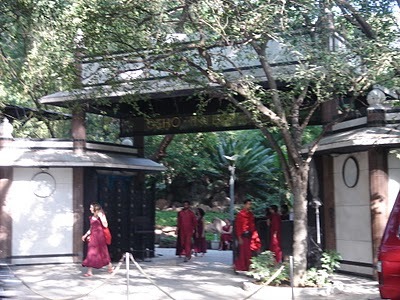 The Osho International Meditation Resort Pune tour review posted some years back was a often-visited post on this blog. This is to inform that the Rs 10 tour is no longer in operation. You may visit the website osho.com for more details. The opening hours at the Welcome Center are between: 9 am to 12.30 pm in the morning, and 2 pm to 3.30 pm in the afternoon. At these timings, you will find a person at the main gate reception who will readily direct you.